If you grew up before the advent of online gaming mechanisms like Xbox live and the PlayStation Network, you probably spent countless hours at your friends’ houses playing video games. If you’re anything like us, you had that one friend who would always make you watch him play his newest single player video game. Sometimes hitting Blockbuster on a Friday night before a slumber party and taking home a sweet single player game was a seriously awesome prospect. Other times you couldn’t help but rent your favorite 4-person dungeon crawl for the fifth time. Before the days of at-home console gaming, there was the arcade era. Even then, people would gather around strangers gaming and watch them challenge the high scores. Watching a game being played is a different experience than playing a game yourself. You have no control. Your decisions have no bearing on what the player in control will do. Where’s the appeal? Luckily for us, researchers were curious about the motivations behind watching others play video games. As researchers are wont to do, they conducted a study. That’s right folks, we’re talking about bonafide empirical data. In order to get to the bottom of this mystery, the study looked at five classes of motivation: cognitive, affective, social, tension release, and personal integrative. Cognitive needs are described as acquiring information, knowledge, and comprehension. Affective needs are described as emotional, pleasant, or aesthetic experiences. Personal integrative needs are described as enhancing credibility, confidence, and status. Social integrative receives the description of enhancing connections with family, friends, and so forth. Tension release has the intuitive description of escape and diversion. The researchers took these five types of motivation and explored each type’s connection to four types of ways stream viewers absorb, use, and interact with streaming content. 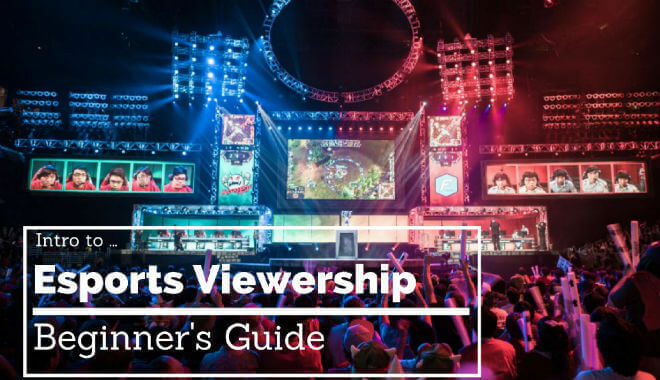 The four usage types include: hours watched, streamers followed, streamers watched, and streamer subscriptions. Despite the straightforwardness of the usage, we’ll provide some definitions for each category. Hours watched refers to the total hours per week that a user views streams. Streamers followed denotes how many streamers a study participant is subscribed to. Streamers watched counts the number of unique streamers a study participant watches in a week. And streamer subscriptions denotes the number of streamers to which the study participants are subscribed. All but one of the motivations showed positive correlations with the number of hours watched. The oddball was personal integrative motivations. So there you have it. People watch Twitch and Youtube streams because it satisfies their tension release, social integrative, cognitive, and affective motivational needs. Tension release had the strongest correlation with hours watched. In a way that’s probably similar to watching a movie, viewing streams provides an escape from the day-to-day humdrum. The satisfyingly interactive nature of Twitch and streaming communities led to positive correlations with the social integrative motivations. There seem to be two primary cognitively satisfying opportunities from streams. The first would be to see, in-action, a game you haven’t played yet. A carefully curated E3 gameplay trailer can paint a very different picture than watching a streamer play the final version of the game. The other way to learn from streams lies in picking up strategies and gameplay tips. And finally, we have affective motivations, which had a smaller correlation with hours watched than some other motivations. Researchers speculate that the emotional satisfaction from streaming might have a smaller cap. Emotionally motivated viewers achieve maximum satisfaction in a shorter period of time, and watching streams after that point brings no joy. There are a number of lurking variables that the researchers acknowledge: gender, income, location, and even game genre to name a few. That’s a study for a different day! In the meantime, go watch a stream or two. FREE BONUS: Beginners Guide to Game Design!